Peerless Vifa XT25SC90-04 Tweeter is a 25mm voice coil 4 ohm tweeter featuring a ring radiator with a central waveguide. Recessed mounting holes. No Ferrofluid. Peerless Vifa XT25SC90-04 Tweeter is a 25mm voice coil 4 ohm tweeter featuring a dual concentric ring radiator with a central waveguide. Rear chamber for extended low frequency response. 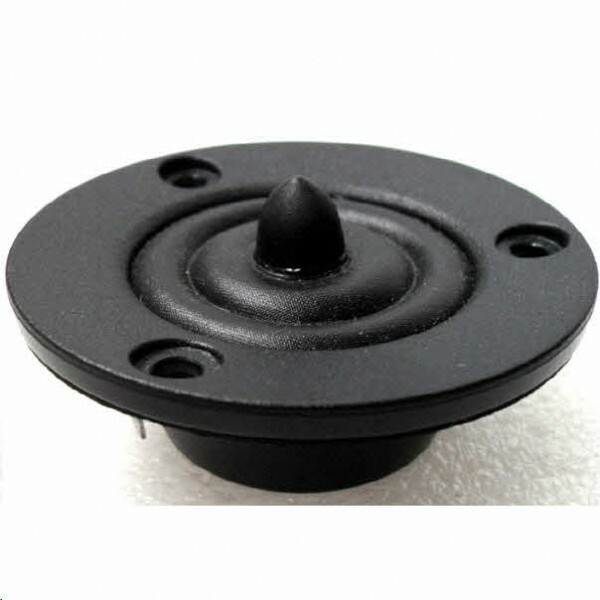 Recessed mounting holes. No Ferrofluid.